Sveriges Riksbank, Sweden’s central bank, has published a brief economic commentary on the impact of digital currencies on the retail payments market. The document outlines the basics behind digital currencies and focuses on bitcoin, but it also mentions some altcoins such as litecoin and dogecoin. Aside from a relatively basic introduction to digital currencies and background information for novices, the document also sheds light on the state of bitcoin in Sweden and the bank’s attitude towards bitcoin and other cryptocurrencies. The Sveriges Riksbank report found that the use of digital currencies in Sweden remains very limited. The authors point out that it is particularly difficult to obtain accurate information on the use of digital currencies in different countries, hence most analyses are usually limited to the total issue value and global usage. 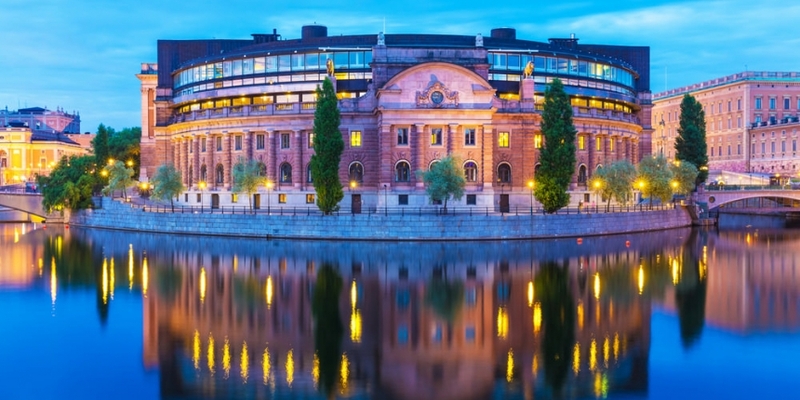 The report tries to isolate Sweden and examine transactions limited to Swedish krona (SEK) exchanges. Even so, the data may not be complete, as it only deals with transactions involving SEK. “On average, around 212 bitcoins per day were converted to or from SEK during the period December 2012 to May 2014 at an average value of just over SEK 266,000. However, the daily value varied substantially, between SEK 2,500 and SEK 2.5 million, depending on the exchange rate and the number of bitcoins exchanged,” the report notes. The authors caution that the statistics are incomplete, as there is no data on transactions between private persons and other movements of funds that could be relevant. Therefore, they concede, the exchange statistics may underestimate the use of bitcoin in Sweden. Although the report contains the usual set of caveats found in most central bank statements involving digital currencies, it also includes some relatively positive commentary. Cryptocurrencies may also be better suited for micropayments made via websites, the report further notes. Disadvantages associated with digital currency platforms include lack of clear regulation, lack of consumer protection regulation, volatility, security risks and the risk of using digital currencies for illicit transactions. The report concludes that the impact of any innovation depends on how much it is used. The use of digital currencies is “very limited” both in terms of the number of users, the number of transactions and the value involved in said transactions. Therefore both the positive and negative effects of digital currencies on the payment market in Sweden are currently negligible.